Many people are under the impression that medical aid schemes are for the elite few only. This is a completely false belief. Medical aid schemes have steadily become more and more accessible and affordable over the last few years. Anyone can become a member of a medical aid scheme. In fact, the law prohibits medical aid companies from turning any individual away based on factors such as age and health. If you can afford the monthly premiums then you can be a member of the medical aid scheme. Another common misconception is the fact that all medical aid options are expensive. The truth is that there are many cost effective plans that have been tailored to suit the needs of those South Africans working with tight budgets. This is especially the case after medical aid companies have realized the need for affordable medical cover after the recent economic recession. This is the perfect way of managing your risk without having to spend too much money in the process. These affordable medical aid plans may not cover everything covered by the comprehensive plans, but they do offer adequate coverage for the average South African. 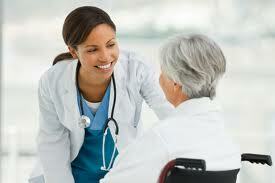 A hospital plan is basic cover that would generally only cover expenses associated with a hospital stay. This is the perfect option if you live a healthy lifestyle because you are less likely to require any day- to- day cover and hospital cover will ensure that you are financially looked after in the event of an emergency hospital stay. Another affordable medical aid scheme option would be a network plan. Most medical aid companies offer a basic network plan that quite cost effective. These plans work on a capitation basis. This means that the medical aid company works with a specific network of hospitals and doctors and pays them a certain monthly fee for each member irrespective of whether or not the member uses their specific medical services during that month. Of course, you would be limited with regards to how many visits and which doctors and hospitals you would be covered for. Another option would be to speak your employer or Human Resources department and find out if your company will contribute towards your monthly premium. Many companies offer a medical aid benefit to their employees where they contribute towards the medical premium or they may even cover the entire premium themselves. If you company does not offer this benefit then you should consider asking them to revaluate this. If you were one of those under the mistaken impression that you could not apply for medical aid because you are too old or cannot afford it then you should seriously reconsider your viewpoint. Anyone can belong to a medical aid scheme as long as they can afford it. There are so many affordable options on the market today, such as hospital plans and network plans, that there truly is no reason why anyone should be without medical cover anymore.